IFTTT Recent Update - How To Create Recipes? 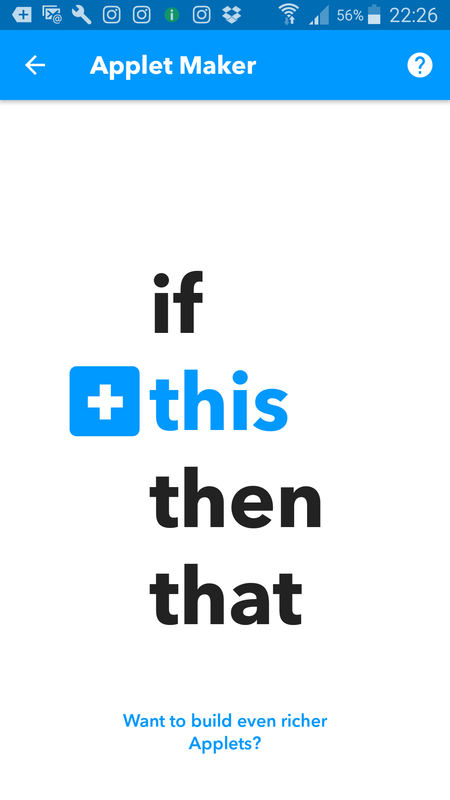 IFTTT Recent Update – How To Create Recipes? So as it turns out the recipes now are called applets. 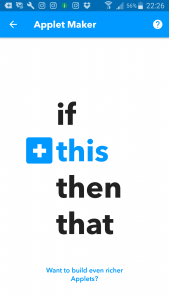 Seems like IFTTT is strongly moving in the Android’s direction showing us marketers, who mainly work on desktops, a big, fat middle finger. Good news is that all the recipes created prior to the update still work. As of Nov 6 2016 it seems to be impossible to create new recipes from desktop. They require you to download an app and operate from your phone. Seems like these days everything is moving to mobile and probably the most lucrative piece of software pretty soon will be Android emulator for Windows or Mac ;).